We had the traditional “grand stretch in the evenings” line in the office the other night, an Irish custom that always accompanies the arrival of summertime. He may well have a point. The weather around this time of year can be better than it is supposed to be right now, and a lot of the time it is actually better than it will be come the actual summer. The one benefit to the current warm spell in Ireland is the condition of our sporting grounds, particularly our hurling pitches. Good hurling needs the sun on the backs of the players and a breath of warmth in the fresh air. 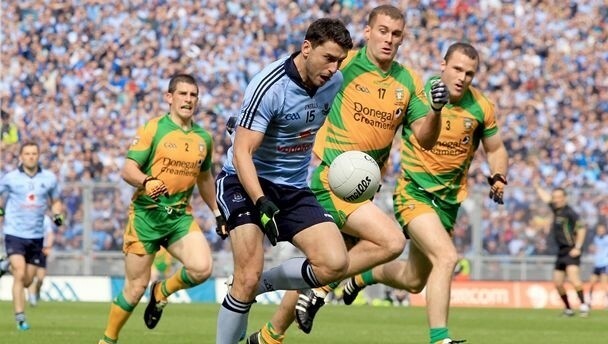 Both those needs were filled last weekend, and as a result we saw Dublin and Cork produce when it mattered. The Dubs were well worth their draw with Tipperary at Croke Park and Cork were fully worth their Leeside win over All-Ireland champions Kilkenny. Both games – and Waterford’s win in Galway as John Mullane returned in triumph – served only to whet the appetite for the summer ahead. If the hurling, and the weather, can stay this good from now until September then life in recession hit Ireland mightn’t be so bad after all. BOXING: The former world champion Bernard Dunne is running a big and very welcome campaign to promote the Irish language at the moment, and details of his Brod initiative are available at www.rte.ie. If nothing else, Bernard’s involvement proves his brain is still intact after all those years in the ring. Paul McGrath, by the way, is one of the many celebrities who have signed up with Bernard and is throwing a cupla focal around his Twitter account – when he’s not golfing that is. Judging by his tweets, Big Paul is playing a lot of golf this weather. GAA: The trend in recent years to remember great sportsmen and women with a round of applause rather than a minute’s silence has been a welcome one. Legends like Jim Stynes thrived amidst the blood and thunder of big events, so it was entirely appropriate that the Croke Park crowd remembered him by making a lot of noise before Dublin’s game with Donegal on Saturday night. Those who knew him said he wouldn’t have wanted it any other way. SOCCER: Diego Maradona launched a bizarre attack on Giovanni Trapattoni this week, describing the Irish boss as one of those “embalmed” managers dominating the modern game. I think most Irish fans would rather have Trap than Diego in their corner in Poland this summer, don’t you? GOLF: Tiger Woods looked good as he won at Bay Hill on Sunday, too good by far for Graeme McDowell as it happened, and he is now the red hot favorite to win the forthcoming Masters at Augusta. A certain Rory McIlroy might have something to say about that however. SOCCER: If you’re having any trouble sleeping this weather log onto the RTE website and check out the Airtricity League game between Bohs and St. Pat’s from Dalymount Park last Sunday. The scoreless draw was so bad it will send you to sleep. Promise. SOCCER: Mick McCarthy’s tongue must have been stuck in his cheek the other day when he refused to rule out a return to the manager’s job at Wolves. It may well happen sometime in the future, but I doubt that future is of the near variety. RUGBY: The England rugby player Dylan Hartley has been suspended for eight weeks for biting Stephen Ferris during his team’s recent Twickenham win over Ireland. Clearly Hartley bit off more than he could chew! Katie Taylor was impressive again when she won two Olympic warm-up fights last weekend, on Friday in Dublin and then on Sunday in Cavan. More impressive was her performance at a post-fight press conference in the National Stadium when she declared, “I’m not even thinking about the Olympics – I haven’t qualified and will only think about it when I do.” Thankfully, Katie is clearly keeping her feet on the ground even if she does represent our best medal hope going to London. A young student was jailed in Wales on Monday for mocking the stricken footballer Fabrice Muamba with racial abuse on Twitter as the Bolton star suffered a cardiac arrest in an FA Cup match at Spurs. Liam Stacey admitted he was very drunk when he tweeted, but he got his just reward this week. Hopefully those who inhabit the world of Twitter might think twice about abusing people on the platform after this ruling.